There was a substantial update to the WoD Beta Pet Journal in the latest patch — eleven new pets! 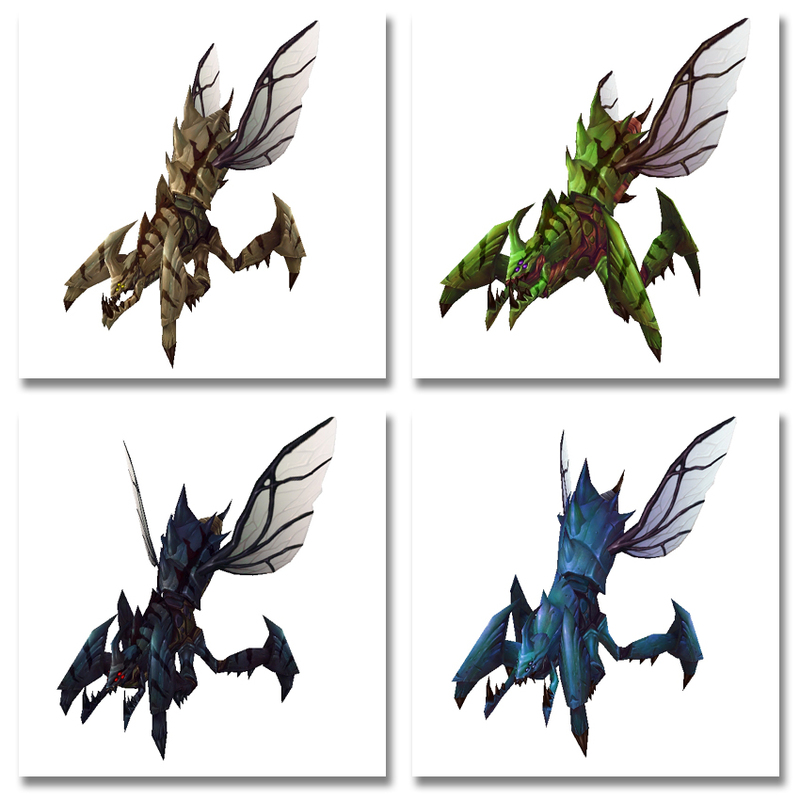 The bulk of the recent update included four ravager hatchling pets and five new wasp pets. All of these pets are currently listed as unknown drops from Draenor. We hope we won't have to suffer too many bug bites to collect them. The Runtish Gronnling is currently listed as a drop from a unique source, "Your Attitude". This one-eyed pet may look familiar; it's a re-skinned version of the Dwarf Gronnling. Sky-Bo is an engineering pet and seems to be the Sky Golem's smaller counterpart. Just don't expect to ride the Sky-Bo! Can anyone tell me what family these are from? I wonder if they're going to update the old Ravager Hatchling to match? Hope so! A lot of the old pet models are overdue for an update. Bad thing is that every single one of them says DROP: DRAENOR.... And I can't at the moment find very many of them to farm. There are a few right before you build your garrison, I camped them for about 2 hours and nothing... Maybe in the new zones to come. I love the underused outland/Bloodmyst Island Ravager Hatchling and am quite exited to get updated and possibly competitive ravagers. But they don't look much like their old counterparts.